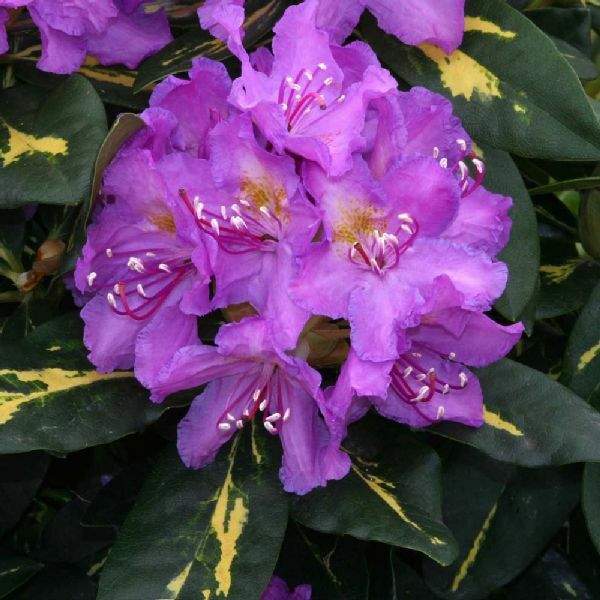 A compact, evergreen shrub with deep green leaves variegated with a splash of golden yellow in the centre of each leaf. Lavender coloured trumpet flowers bloom in spring. Height 1.5m (5ft), Spread 2m (6ft), 10-20 years to maturity.